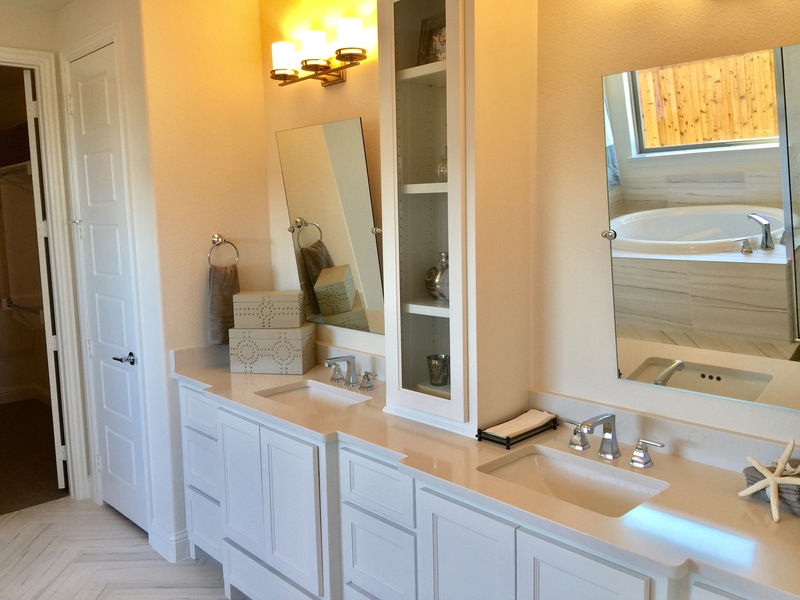 Shaddock Homes at the Estates at Rockhill in Frisco have an AMAZING inventory home ready today! 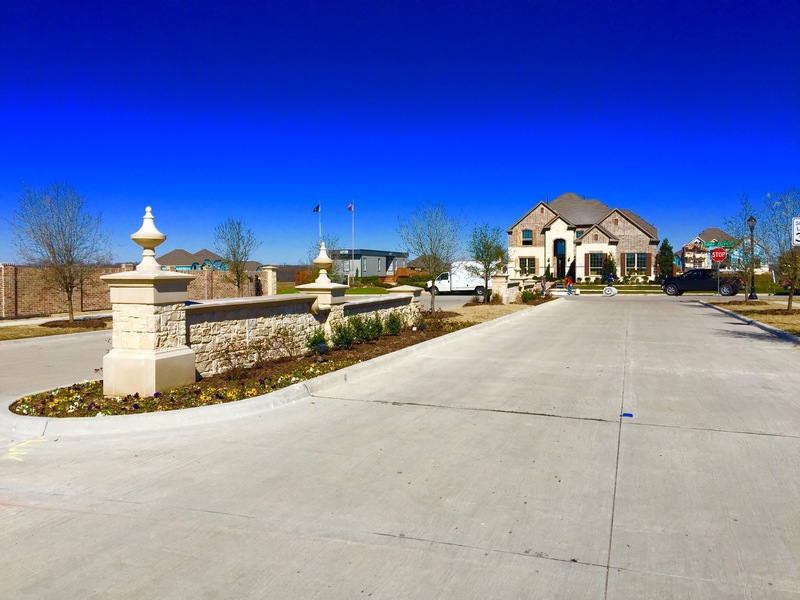 The Estates at Rockhill in Frisco is a great neighborhood and located at a ground zero location for development! Above is what is currently underway and basically walkable from the Estates of Rockhill! That is convince that most neighborhoods here just do not have. 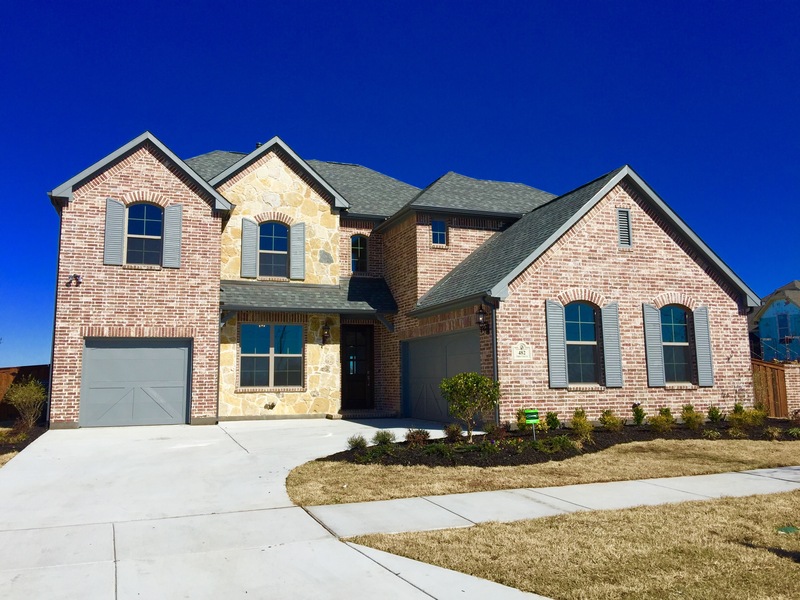 Shaddock Homes build some of the best houses around with their quality and design and this inventory home at 16175 Barton Creek Lane might be a top 10 in my books. It’s East Facing and has everything any buyer is looking for. 5 bedrooms, 4 Baths, Study, Game room and Media Room! 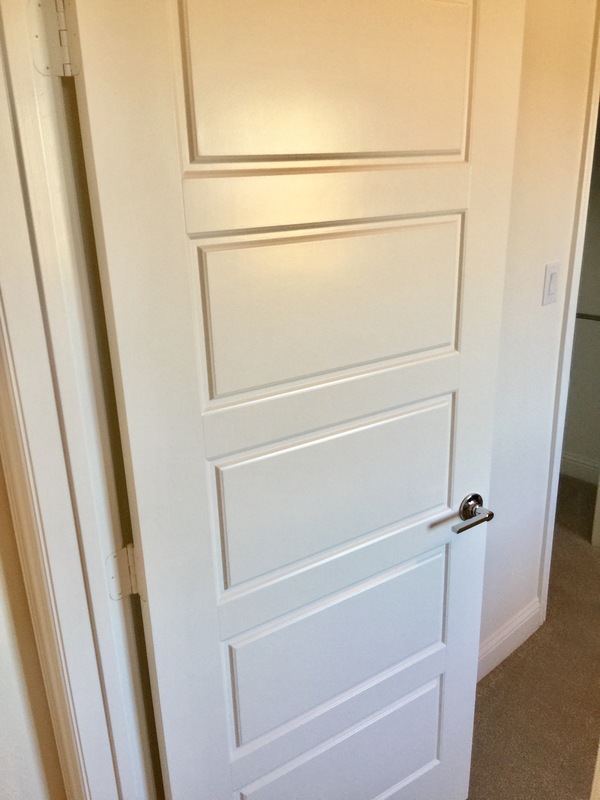 This is the same as the model home when they built in Castle Hills and was hands down the most sold plan in the development. 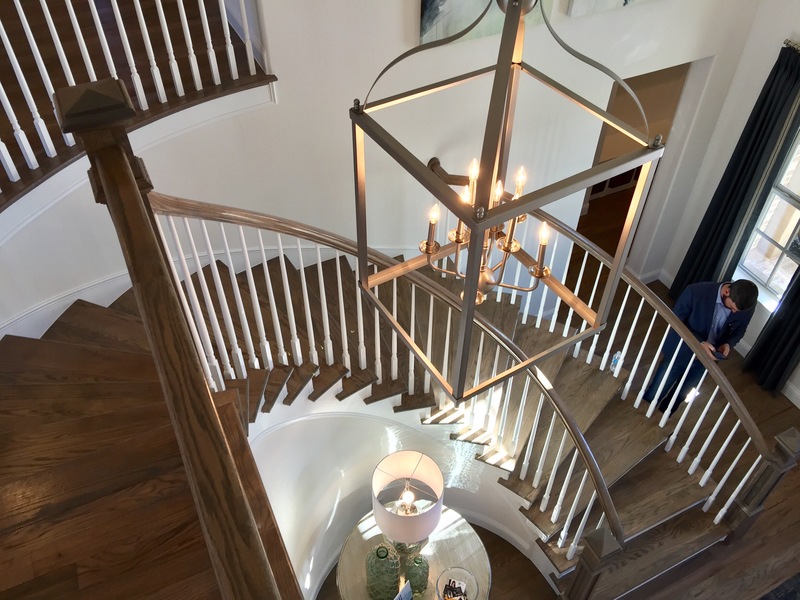 Shaddock Homes only went luxury on this home because everything from the carpet, kitchen and master bath all look upgrades. It’s a beautiful home. 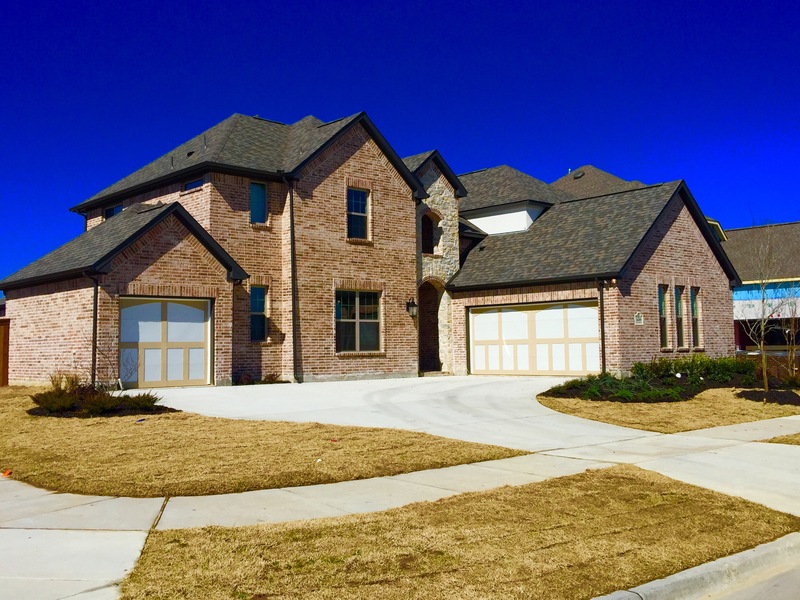 For more info on Shaddock Homes bottom line price on this home at the Estates of Rockhill in Frisco, text or call Brad Holden today at (469)733-2723. 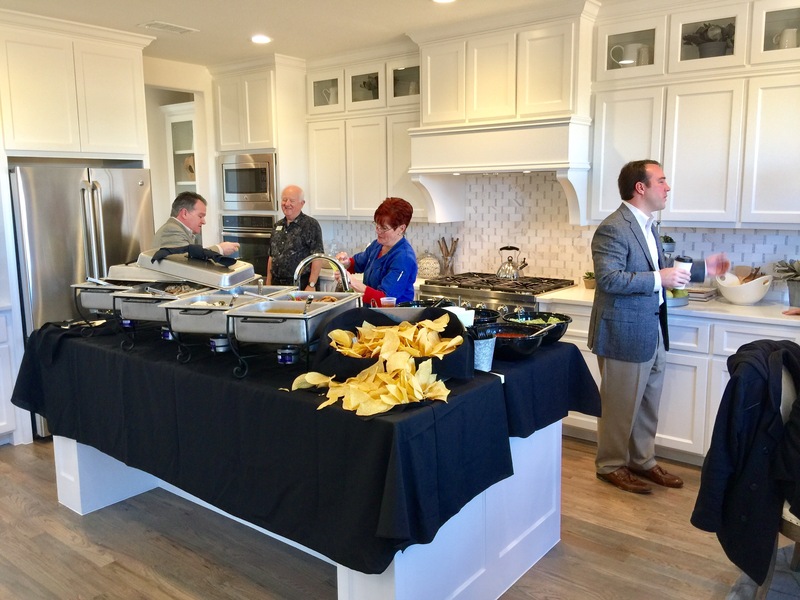 Shaddock Homes at the Estates at Rock Hill in Frisco . . . I told you so. 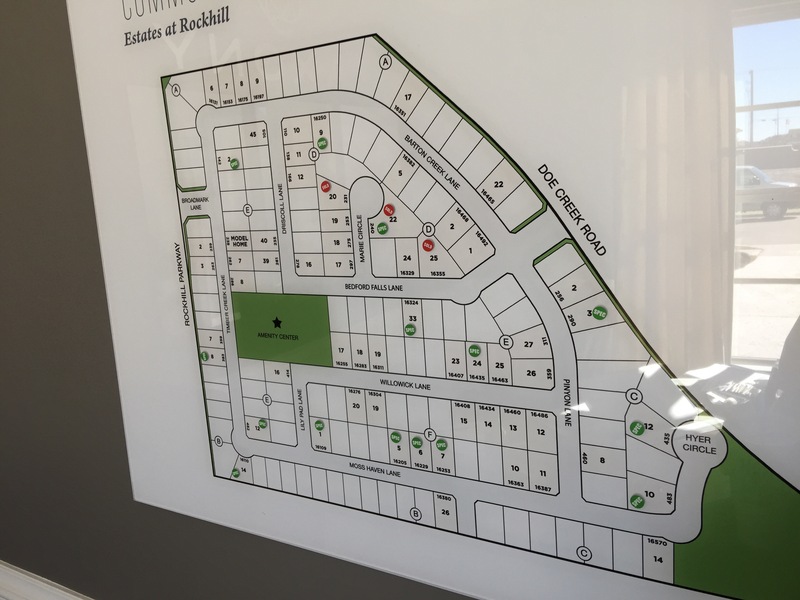 In February of 2017, I wrote my first blog regarding The Estates of Rockhill by Shaddock Homes basically stating it is best to get into a neighborhood early especially when they have 3 phases. Above is the statement I wrote. Above is the price of $420,000 that they started at. And here is the date I wrote the blog post. FAST FORWARD 17 MONTHS TO TODAY. Shaddock Homes is closing out the first phase and have 6 beautiful specs available for move in today. See below. I took a walk threw two of these specs and they blew me away! 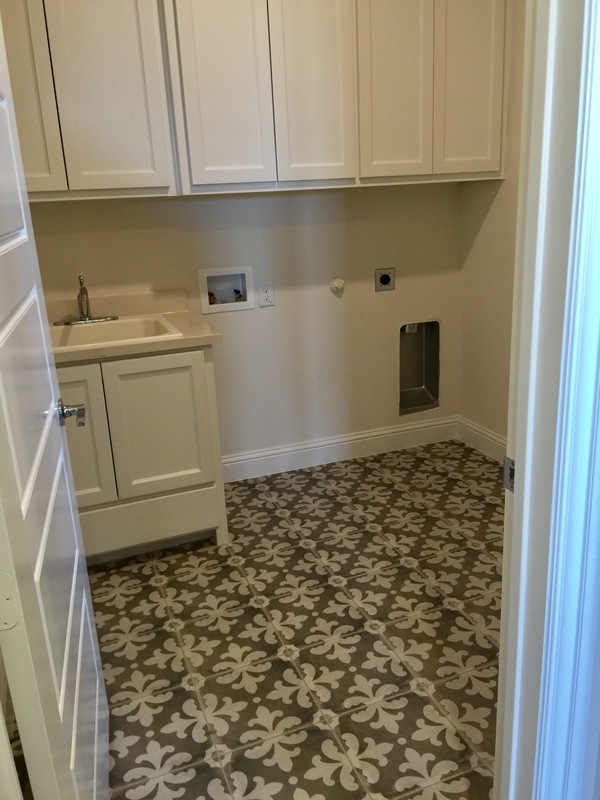 This gorgeous home has an enormous utility room and a huge covered patio. This home ,with my help, you will end in the low $500’s! And this inventory home will not last through the weekend. It’s large and built for the buyer in mind. The back wall by the kitchen and family is ALL windows. And the upstairs is very unique with all of the bedrooms separated from the game and media room. That really makes sense. Large is also on a corner and huge! This home would probably end in the $550’s with my help and possibly more. Bottom line is that if a buyer bought when the Estates of Rockhill opened, they would have had easily $80,000-$100,000 in equity only in 17 months! 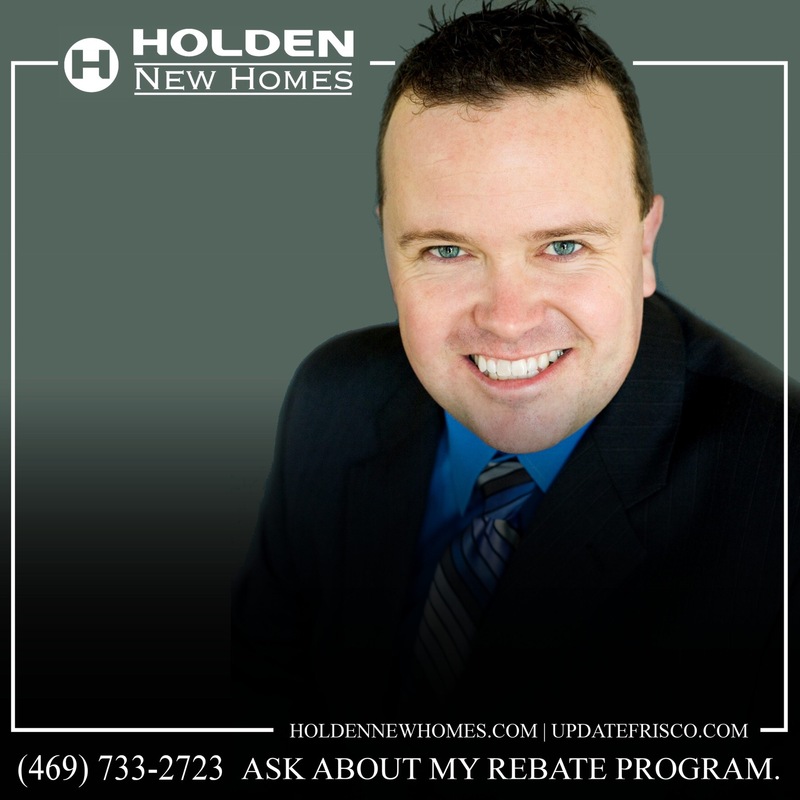 Text or call Brad Holden today about Shaddock Homes in Estates of Rockhill at (469)733-2723. And please lets not forget what is coming up by The Estates of Rockhill, see below! 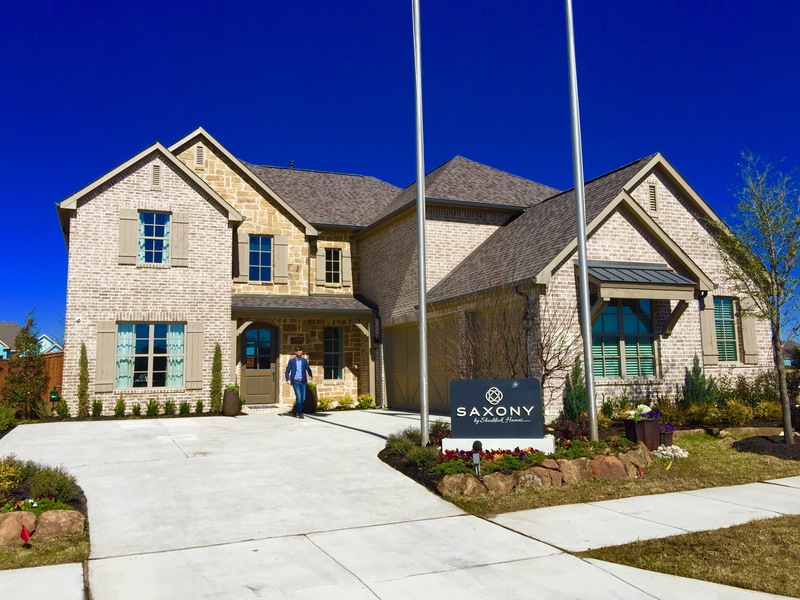 Introducing Saxony Homes (a Shaddock Home Company) at Estates at Rockhill in Frisco & Frisco Crossing! 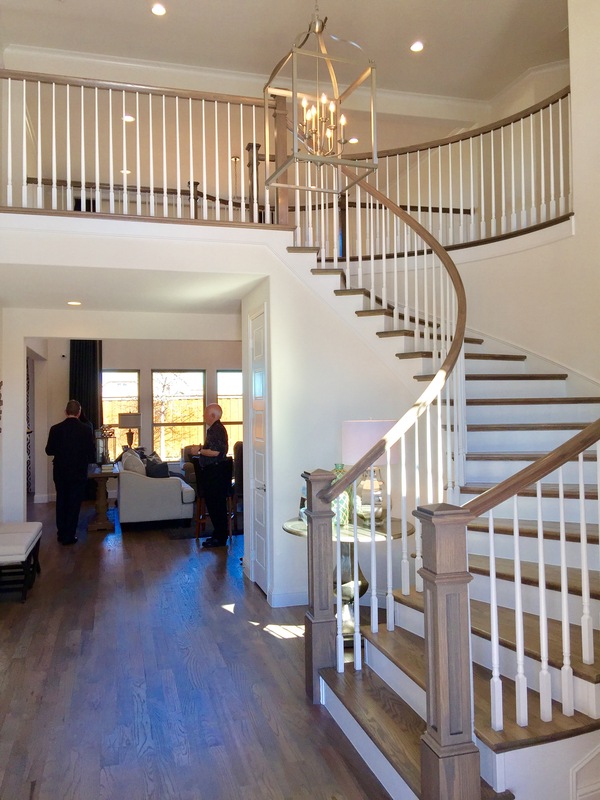 Saxony Homes Model at Estates at Rockhill in Frisco. 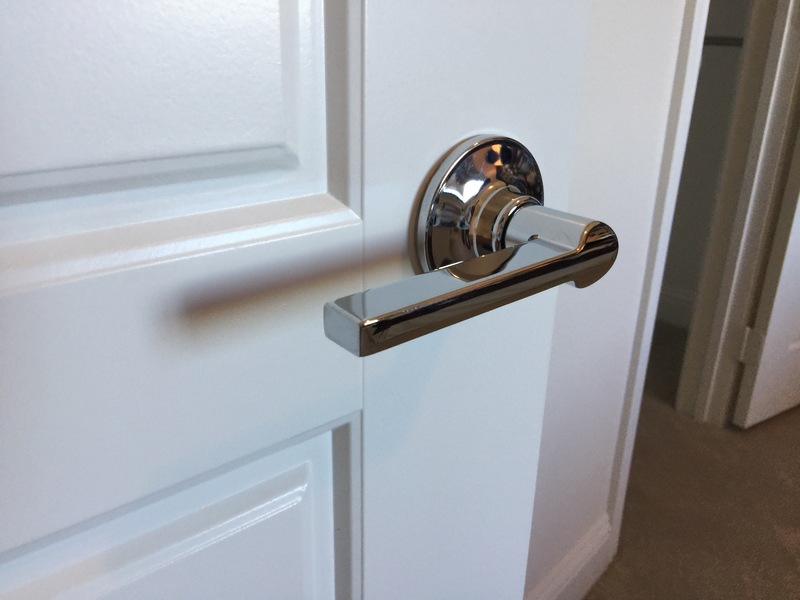 Note: Saxony Homes, is a uniquely designed series by Shaddock Homes, built for new home buyers who want a taste of luxury and fine craftsmanship, at a surprising price point! 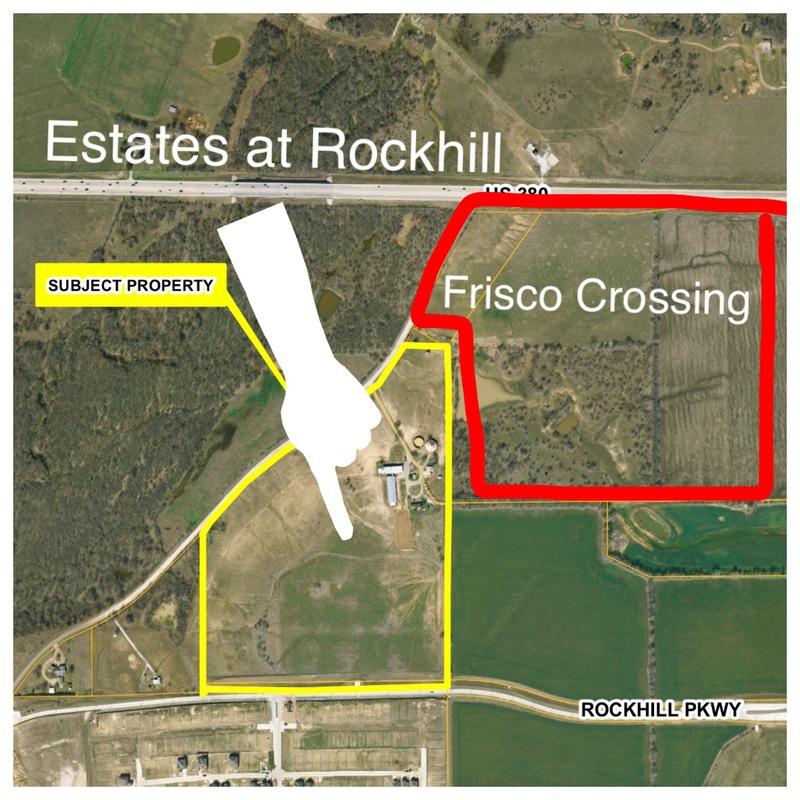 The Location of Estates of Rockhill is in North Frisco. The new development is in the city of Frisco and Frisco ISD Schools. 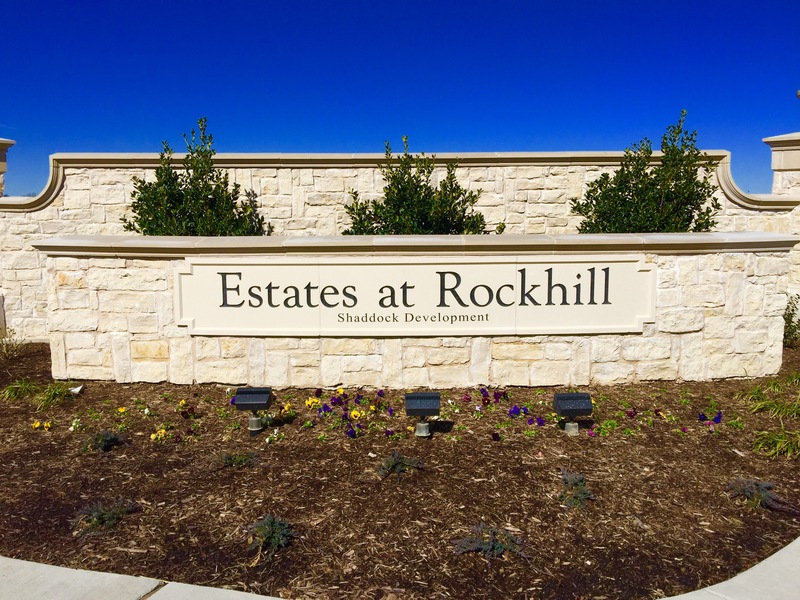 The Estates of Rockhill currently plans for with 374 homesites in 3 different phases. The first phase will be a total of 161 lots with currently Saxony Homes and Village Builders. 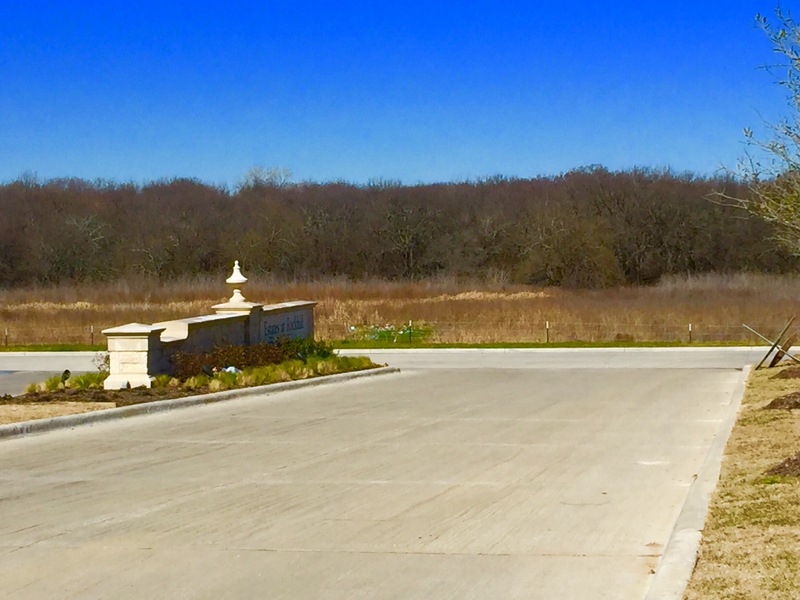 Saxony Homes plans to start 15 inventory homes in the upcoming months! As I always like to explain to out of state buyers and even first time buyers, the absolute best time to purchase in a new neighborhood is at the beginning. The difference in the phase 2 prices and even phase 3 prices will be many thousands higher. 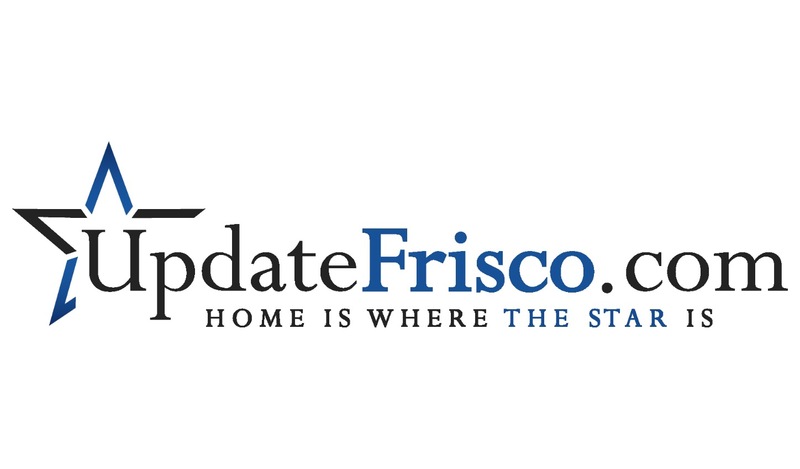 Always has been and always will continue to be the same when buying in a new home community here in Frisco, Texas. 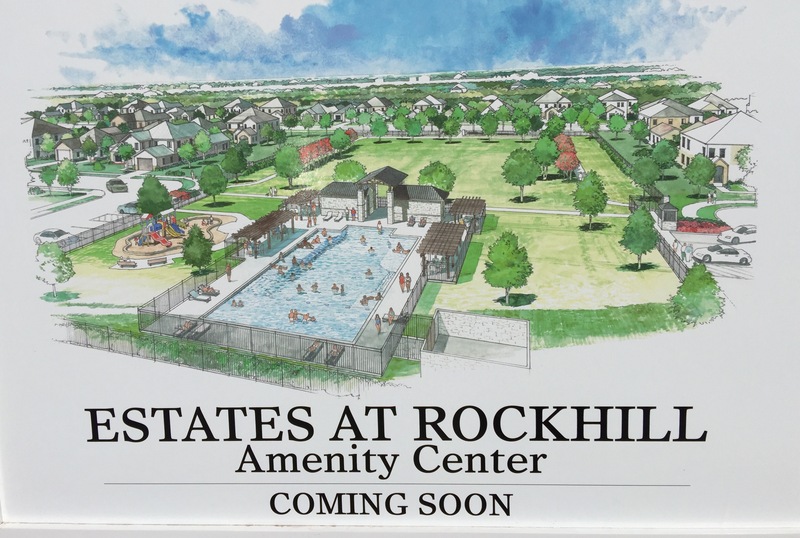 The amenities for the Estates at Rockhill plan to include a community pool, a creative play structure, multiple parks and a hike and bike trail. The developer is hoping to have the Amenity Center done by the end of September. Why the Estates of Rockhill matters. Its simple. I know you have heard of the term “walkability.” Now whether it’s a real word or not . . . I really don’t know. But basically it is a factor in Real Estate based off of where you can walk to retail, shopping, restaurants etc. 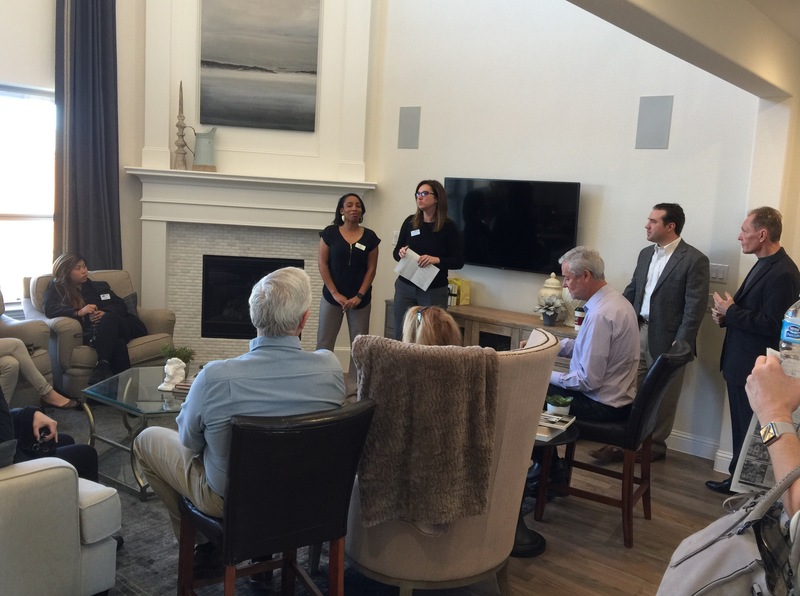 The walkability for the Estates of Rockhill will most likely be the BEST of any community in Frisco! No joke! Here’s why. 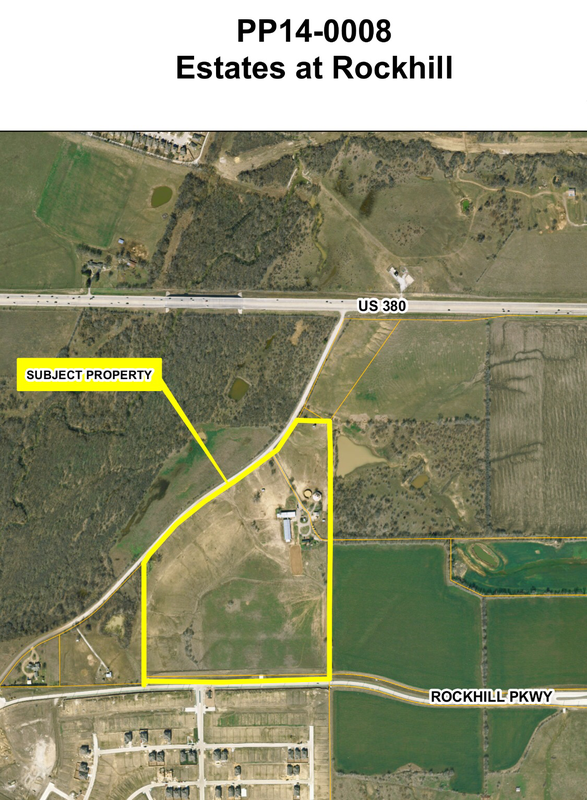 United Commercial Development purchased around 83 acres and is developing Frisco Crossing! 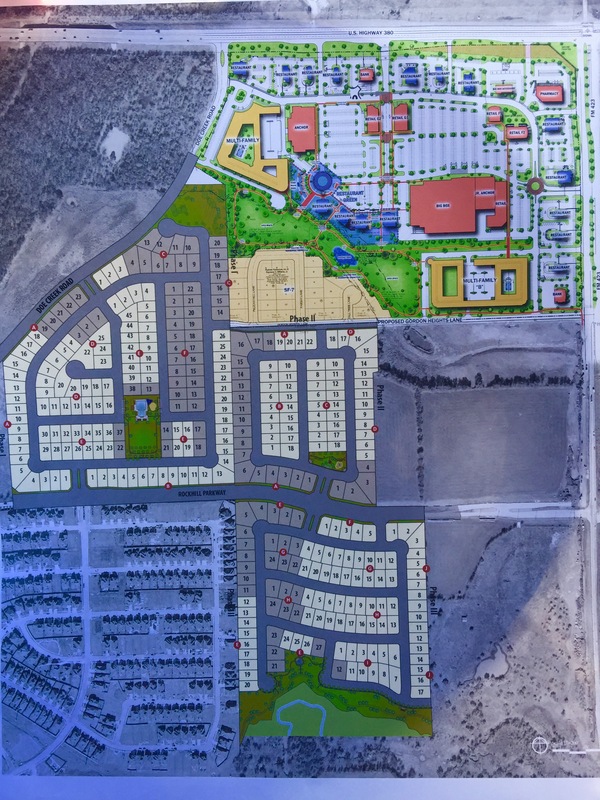 Frisco Crossing is directly North East of the development separated with the large amount of green space. Frisco Rail Yard on Main Street. Now, in commercial developments there are always changes. But I feel really good that there will not be too many considering CVS and Central Market have already CLOSED on their spaces! That’s a very big deal! There is also a high end movie theatre planned! Frisco Crossing sounds like a place where others will drive to but residents of the Estates of Rockhill can actually walk! Now back to Saxony Homes. The model gives you a feel of many current trends and a look that really appeals to what most buyers are looking for. See below. 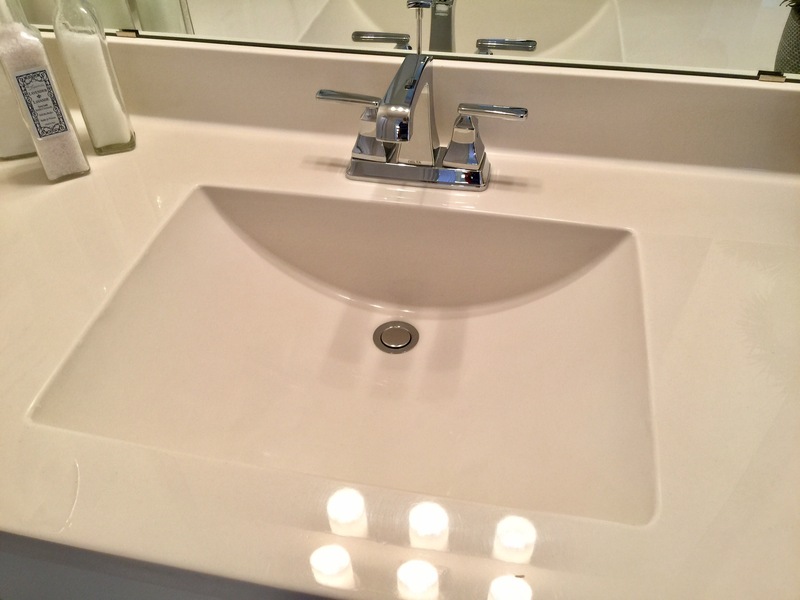 Saxony includes a choice of high quality products that a lot of builders do not see the the importance as an option like the handles, doors and rectangle sinks below. The plan feels much larger than it actually is and really incorporates quality products and design. Prices start in the $420’s!!! Wow! That was a truly shocking number that I would have never guessed! 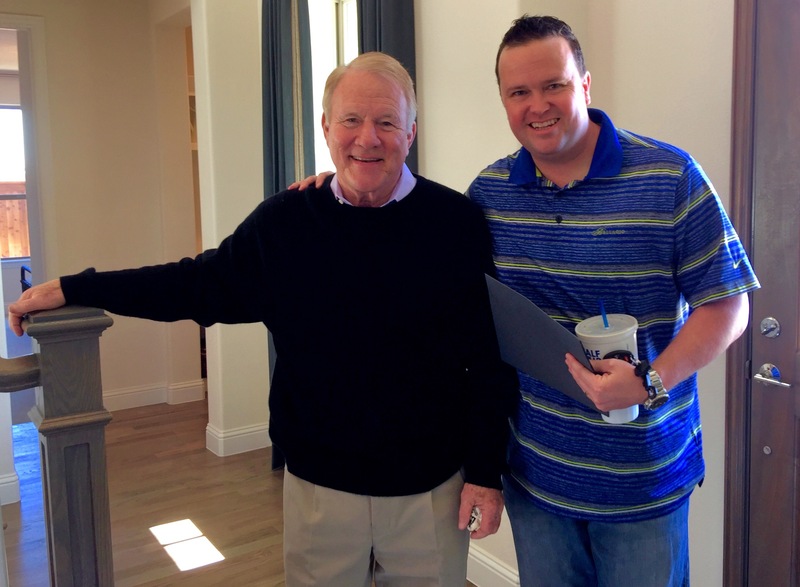 Peter Shaddock, owner of Shaddock Homes and Brad Holden, Broker.